What’s not to love about LOVE Condos? For a limited time, prospective buyers are invited to take advantage of a five per cent deposit with up to $10,000 in discounts. Plus, receive one year of free maintenance and a free locker on remaining units. Occupancy of the 20 storey Gemterra tower began in late November and residents have been settling in all the way up to the seventh floor. One bedroom, one bedroom plus media, one bedroom plus den, two bedroom and two bedroom plus den suites are still available, as are select penthouses and townhomes. Units are characterized by spacious balconies, granite kitchen countertops, ceramic tile backsplashes, drop-in stainless steel sink, five foot soaker tubs and stacked washer/dryer units. Prices start from $227,000 and floor plans range from 553 to 2,017 square feet. 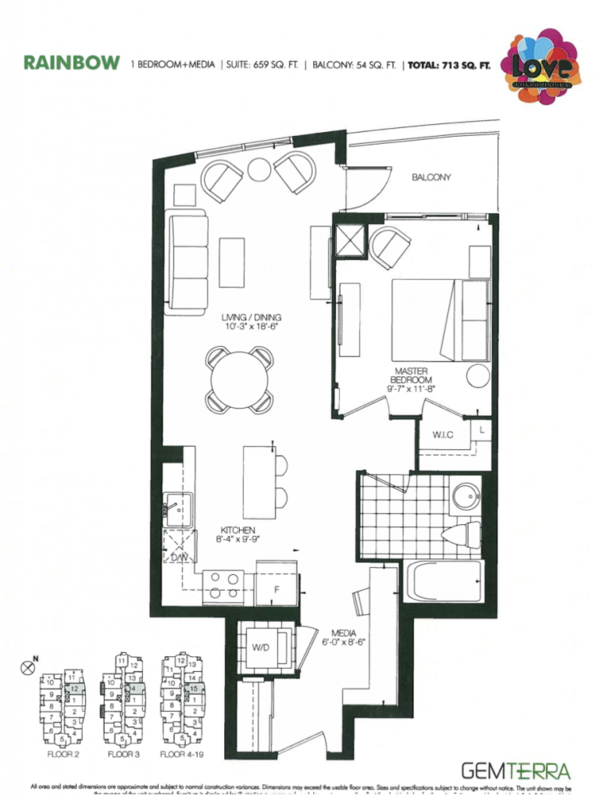 The ‘Sweet’ suite is a one bedroom plus den with a walk-in closet and two full bathrooms. There’s also a butler’s pantry in the kitchen and a breakfast bar. 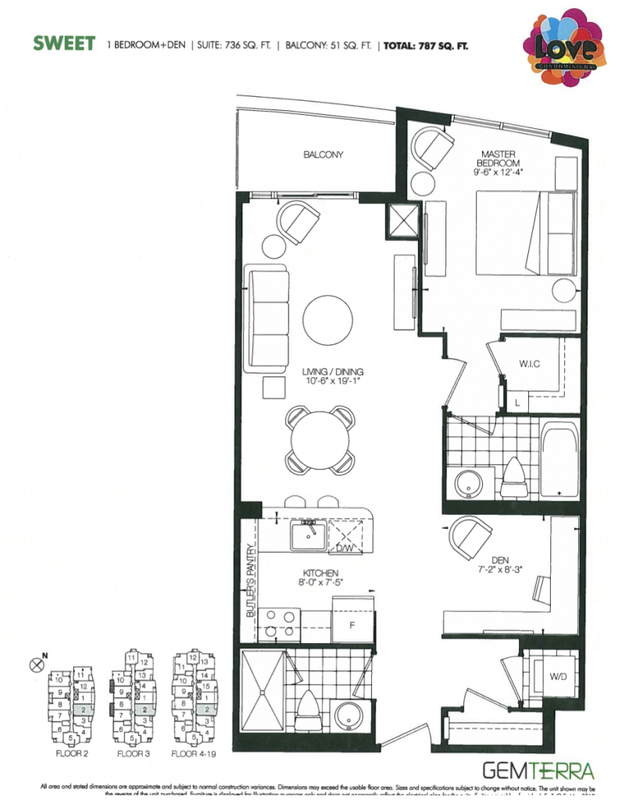 The ‘Rainbow’ is an open-concept one bedroom plus media with a kitchen island and a 54 square foot balcony. 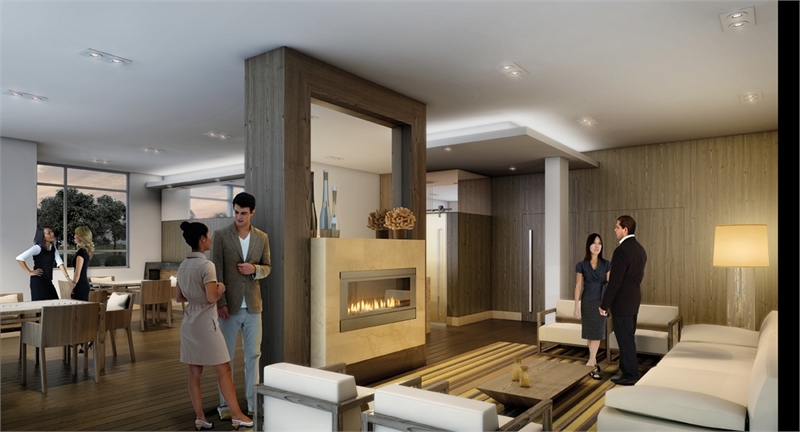 LOVE Condos offers superior social and recreational amenities. Break a sweat in the state-of-the-art fitness centre, which features a yoga/aerobics studio. There’s also an indoor swimming pool for developing your Breaststroke technique. After your workout, unwind in the his and hers saunas or whirlpool. The party room is the ideal locale for entertaining guests, offering a wet bar, catering kitchen, fireplace, lounge seating and dining area. Or, challenge a friend to a game of pool in the adjacent TV lounge. The courtyard includes barbecues and outdoor dining tables for enjoying a meal under the stars during the warmer months. The inviting lobby is presided over by a 24 hour concierge and a well-appointed guest suite is available to overnight visitors. LOVE Condos is located at 185 Bonis Avenue in Scarborough — a walkable neighbourhood with access to parks, recreation centres, golf courses, schools and a hospital. The Agincourt Mall is a six minute trip on foot and includes a Wal-Mart, Beer Store, No Frills and numerous eateries. Looking for some serious retail therapy? The Scarborough Town Centre offers over 250 retailers and a Cineplex theatre. Highway 401 is close by, as is the Agincourt GO Station and the TTC 43 Kennedy bus route. 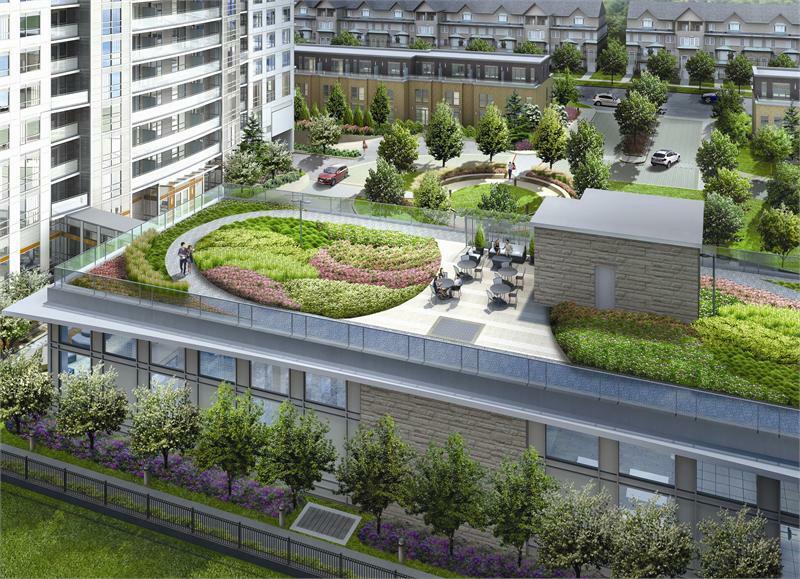 Prospective buyers are encouraged to visit the LOVE Condos presentation centre at 3573 Sheppard Avenue East from Monday to Thursday from noon to 6pm and on weekends and holidays from noon to 5pm. For more information, please call 416 491 5683 or email lovecondominiums@bakersales.info.